Our wide range of axial flow fans are used in tea industry and other food industry. These are designed to provide efficient trouble free service & reduce the initial and operating cost to minimum.Tubular Axial Fans Axial flow fans are designed to meet the requirements of general ventilation and air conditioning field. These are also used for exhaust in miracle mills. These are designed to provide efficient trouble free service & reduce the initial and operating cost to minimum. These 6 blade impellers are made of cast aluminum alloy/ Plastic Blade . The blades are directly mounted upon the motor shaft and the impeller is aerodynamically designed. 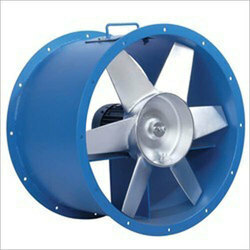 Vane Axial Fans our range of axial flow fans are compact in size and are easy to install. 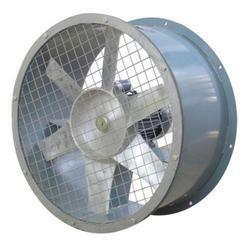 Reliable in operation, these fans are made for optimum realization between air quality, pressure, power consumption.Belt Driven Axial Fans we offer a range of axial fans that are used for air conditioning, industrial ventilation and fumes. These are fabricated from mild steel plates and have been provided with foot mounting arrangements and flange on both ends that facilities installation of the fan. 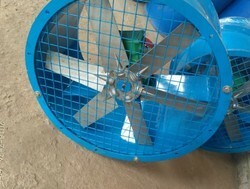 Looking for Axial Flow Fan ?